The Month of October, most of us think of tricks and treats. The most fun part of this time of year is to see who you can scare. Sudden Cardiac Arrest is a condition that will scare anyone at any time of the year. The Month of October is Sudden Cardiac Arrest Awareness month, also known as SCA. Sudden Cardiac Arrest is a condition where the heart fails to pump correctly, and the blood flow to the brain stops. Some people have equated this too sudden death. If you are experiencing sudden cardiac arrest, you may not feel anything, and you will pass out. Unlike a heart attack, where you may feel pain or discomfort when SCA is happening there is almost no warning. The reason is that in a heart attache only a part of the heart is damaged versus in an SCA the entire heart will fail. 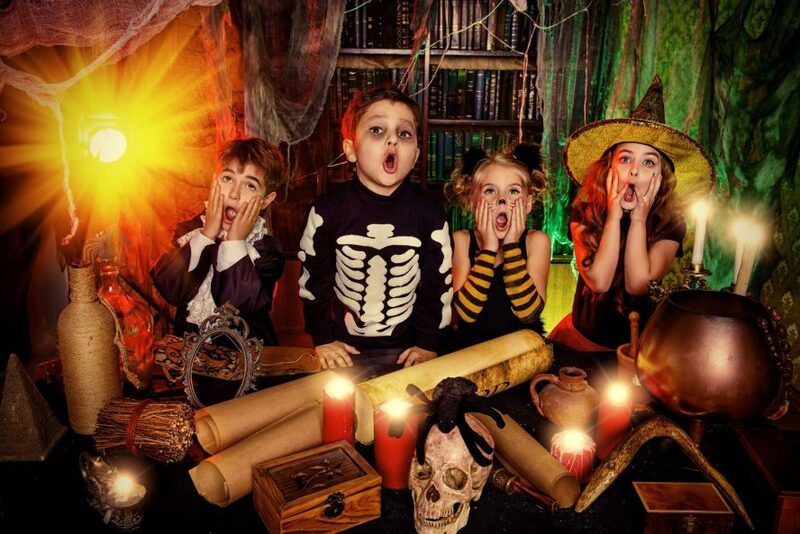 The scariest part of trick or treating is having a family member fall out in a sudden cardiac arrest, then knowing what to do. Since there is little to no warning when someone goes into sudden cardiac arrest, the response needs to be just as fast. You will need to send someone to activate EMS, then start CPR, starting with chest compressions. At this time the person is practically dead. The next thing that is needed is to have access to an Automated External Defibrillator (AED). If you can get an AED to a person suffering from Sudden Cardiac Arrest within 10 minutes, their chances of survival dramatically increase. An Automated External Defibrillator (AED) is an electric device that self-explains how to operate it. These units are life-saving because when the heart has failed in a sudden cardiac arrest. 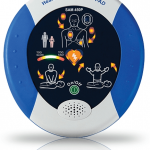 The AED will shock the heart and help reset the heart’s proper rhythm. The combination of CPR and with the use of an AED the victim will have a significant chance to survive this heart condition. Why is it important to know CPR? CPR training is the second most important skill to have in saving someone suffering from SCA. The chance of encountering someone suffering from a cardiac arrest is approximately 1:10. More and more jobs are requiring this training for their staff, and it is being implemented in the school curriculum. Knowing CPR gives you the power to understand how to save the life of the person you love the most. This could be your mother, father, brother, sister or children. If they know CPR as well then you know you are just as safe. When using CPR for the first time, you will be scared. If you train to become confident in doing CPR, you will be empowered to help those that need you the most. This year while you pretend to scare people for fun, when the actual scare happens of SCA, you will be the one confident to save the day. You can start your journey to be certified in CPR Through The Beating Heart for as low as 26 dollars.